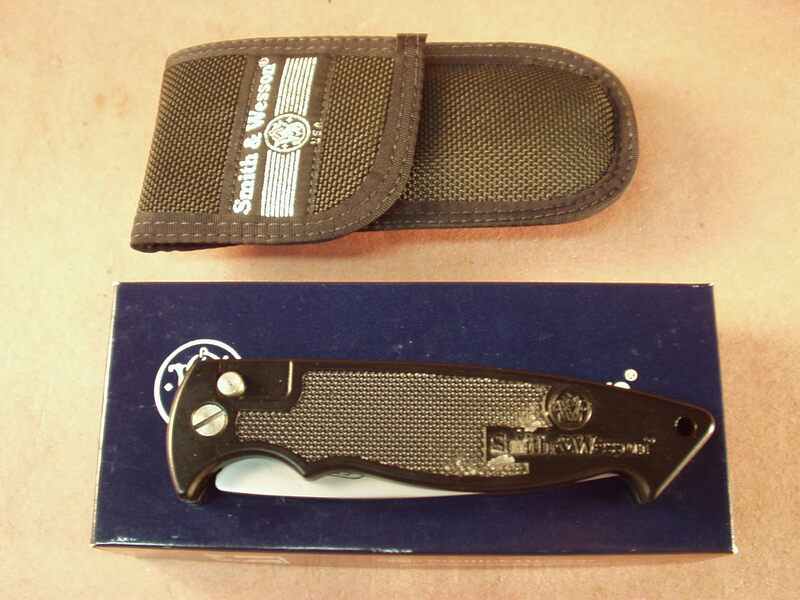 Pictured is a NIB Smith & Wesson – # SW1400S Auto Knife with Partial serrated blade. 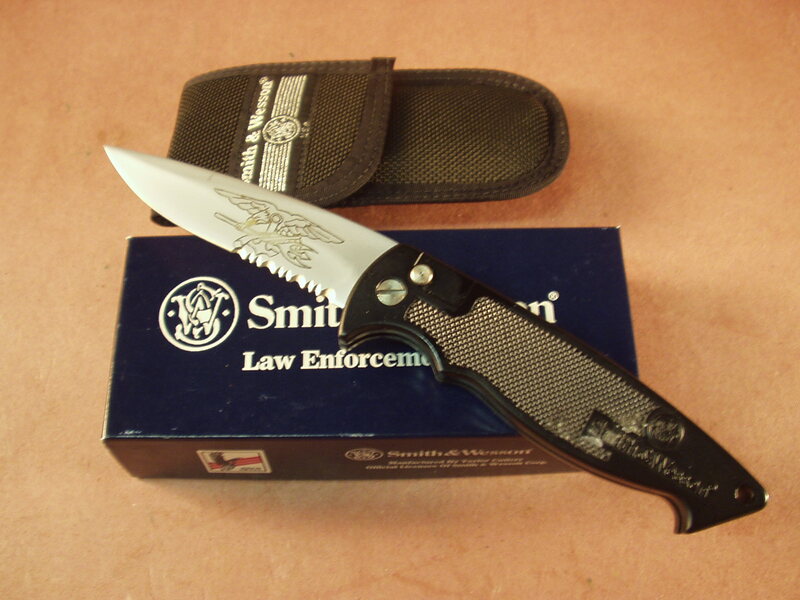 Knife is made in the USA and I believe has been discontinued as most of S&W knives are now made overseas. 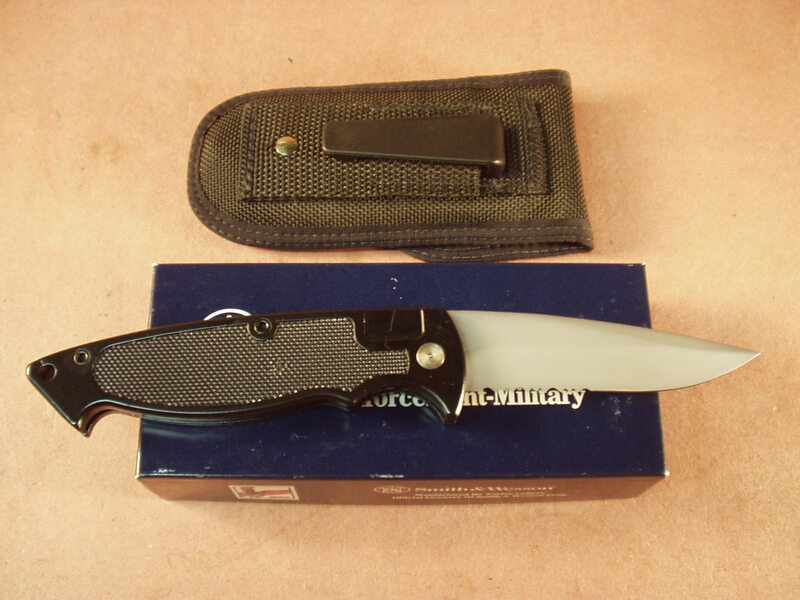 This knife was designed for law Enforcement and Military and features a 3 1/2″ blade, very quick opening with a nice snap when it locks up, no blade safety. 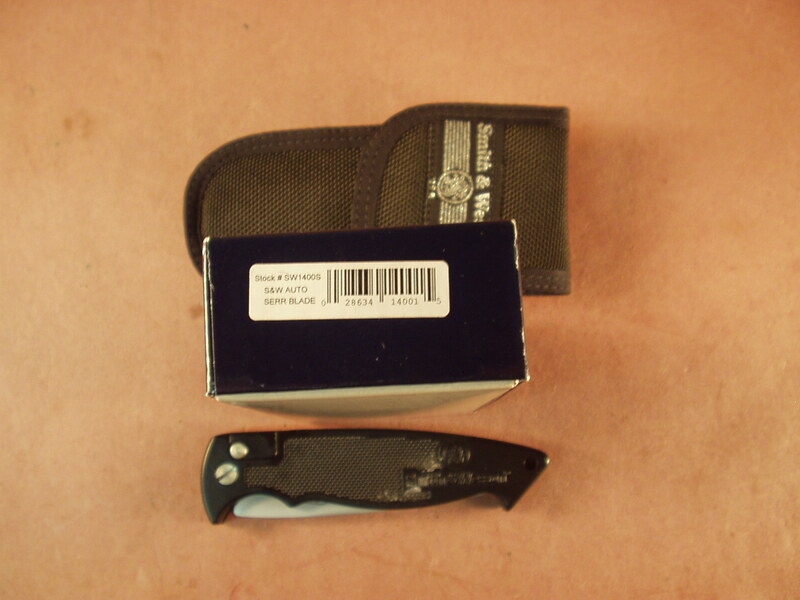 The only issue is a cosmetic blem on one side of the handle scales, ( easily seen in the pictures) while this does not impede the overall performance it is not a mint knife. The blem was on the knife when it was sent from the factory and not due to prior use as the knife has never been used or issued. 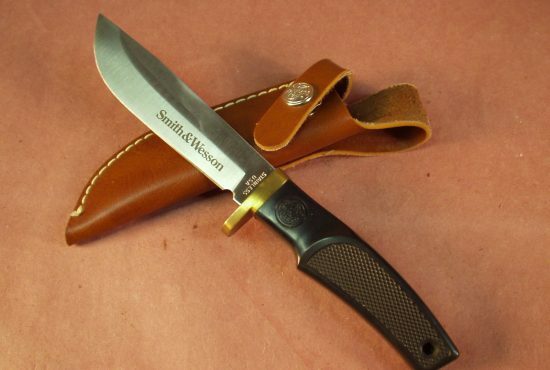 Great user S&W made in the USA and no longer available, comes with proper sheath and original box. Will only ship to sates where it is legal to own and you are the proper age buy this type of knife.